Viewing the city as a system of urban flows – is this an up-and-coming concept of value to all resilience practitioners and city authorities, or just another buzzword difficult to operationalize? 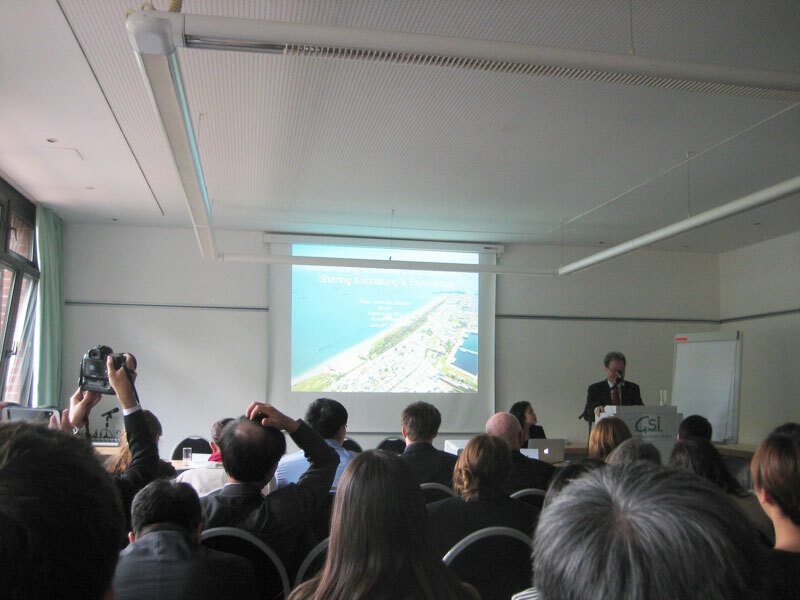 Even though one of the concept’s main proponents – the Resilient Regions Association – are the first to admit that the concept is still evolving and has yet to aqcuire a comprehensive consensus definition within academia, they emphatically maintain that the flow approach is a highly useful pair of goggles through which to analyze cities. The flow perspective allows politicians and businesses who don’t think of themselves as working with resilience to see how critical they are for the functioning of their cities under all risk scenarios. Research and city authorities in RRA’s network that presented during the session agreed, stressing how thinking in terms of flows had helped them to better determine how to safeguard vital urban vital functions against the consequences of potential disruptions to urban sustainability and resilience. Erica Seville (Lead Researcher, Resilient Organisations, Sheffield, New Zealand) explained how her research group’s Modeling the Economics of Resilient Infrastructure Tool has helped garner understanding about the economic recovery since the 2011 Christchurch earthquake, especially in terms of economic ripple effects, making causal relationships easy to pinpoint and teaching us lessons about matters such as where it most important for the economy to really try to keep the lights on. Ken Doust (Adjunct Senior Lecturer, University of New South Wales) has also used the urban flows approach, but in his case to model the impact of climate change on a city’s transportation system. He has used this tool to assess how potential climate change impacts would affect the system on a very detailed level, generating easy-to-understand maps and charts. One particular strength of the concept of urban flows, participants underlined, is that it is useful not only for analyzing climate-related disruptions; other catastrophes or disasters fit equally well into the framework. For example, Deputy Mayor Chin De Chen explained how his city of Kaohsiung, Chinese Taipei, has used the approach to ensure that last year’s pipeline explosion disaster – killing 32 and wounding 321 – is never repeated. current economic models do not capture the dynamics of disruption very well. So even though the sort of vague conceptualization of urban flows remains, dismissing it as just another buzzword would likely amount to doing the world a major disservice.